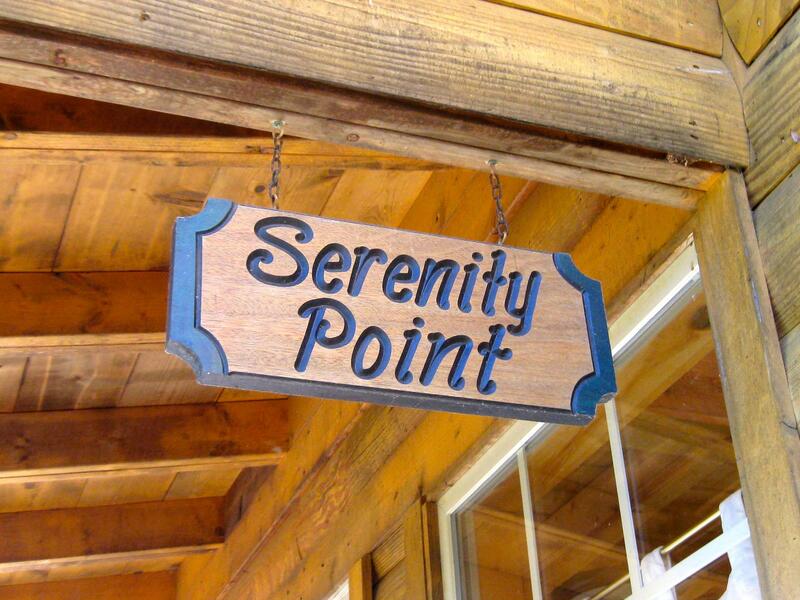 Serenity Point is for adults only and has two bedrooms each with a queen bed to sleep 4 adults only. The main living area offers a wood burning fireplace and full kitchen with dishwasher. A washer and dryer are available. There are 2 bathrooms. The deck has a large hot tub and a "gorge"eous view. A charcoal grill is available for outside grilling. There are balconies off each bedroom. The loft has an air hockey table. Satellite television is available offering movie and sports channels also. Everything was lovely and very clean! Thank you so much. Lovely cabin and views. We were lucky with the weather, considering time of year and rain predictions-thanks for that! Cabin was beautiful! Love the neighborhood! Ate on the deck and enjoyed the fire pit each night.